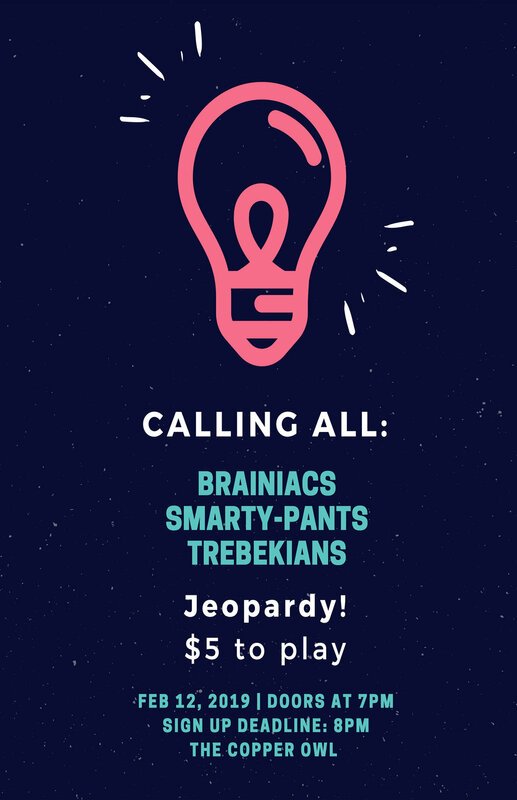 Join us for a night of Jeopardy! at the Copper Owl! Stay tuned to this page for category clues!